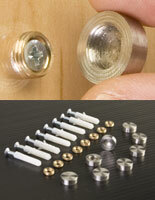 Includes (8) caps, screws and anchors with threaded washers to mount (2) signs. 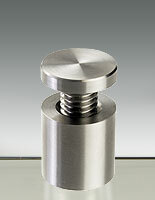 Solid stainless steel construction and low price point make these an incredibly economical value. 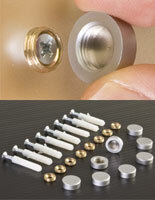 3/4-inch fastener diameter accents signage. 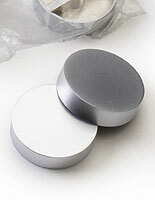 These stainless steel caps are high quality metal screw covers for sign making. 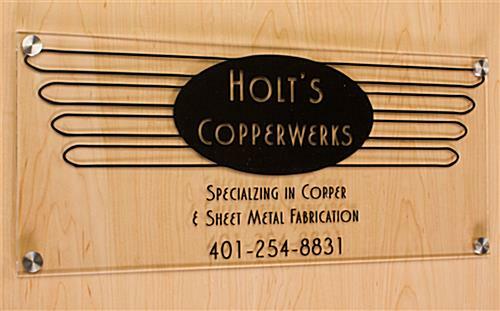 The brushed finish provides instant decoration for wall mounted sign panels, offering an industrial look to any installation. 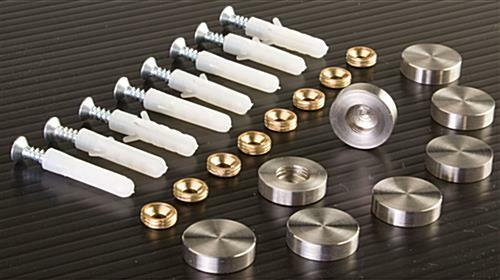 The caps twist onto the threaded washers once the panel is screwed to the wall. 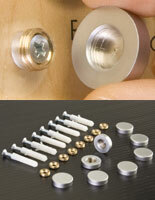 Hide those unsightly screw heads with our upscale metal covers! 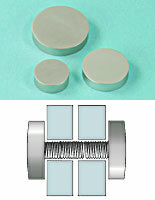 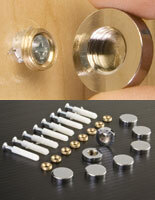 Your purchase includes a set of (8) covers, threaded washers, and screws.